I bought this form my wife because she had complaints in that department. Got her this and now she has relief. Thanks PF. Infused with a touch of lemon and vanilla‚ this fresh and slightly sweet personal lubricant has an almost undetectable scent. 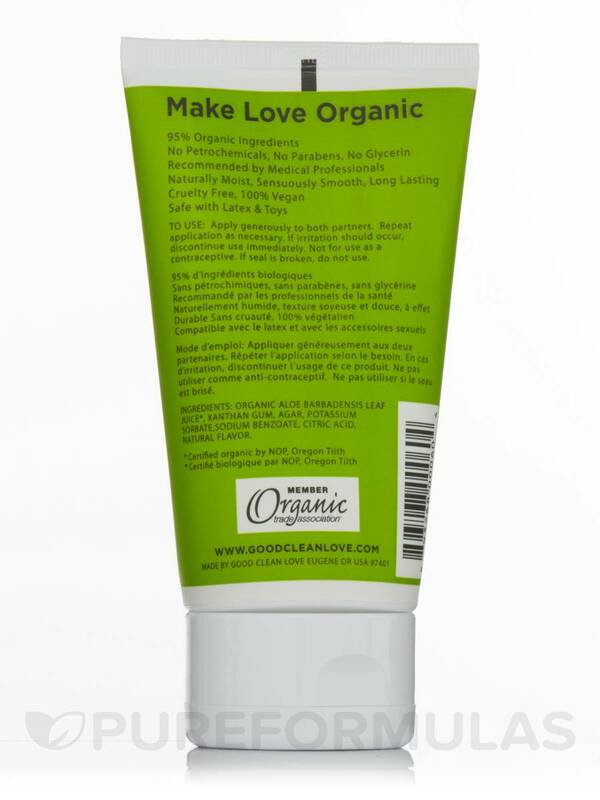 Good Clean Love organic personal lubricants enhance your love life naturally. Vaginal lubrication is at the core of good feelings in sexuality. Vaginal dryness takes the flow out of making love. A great natural lubricant improves vaginal wetness and allows for glide‚ ease and effectiveness. When female lubrication is working well‚ it is invisible‚ a thought we don't have. When it isn't working‚ we feel it immediately. Enhancing vaginal wetness will enhance your love making. All of Good Clean Love lubricants are edible and delicious. All of their personal lubricants are made with aloe vera‚ xanthan gum and agar (seaweed) to create a smooth and long lasting glide. Safe for latex‚ toys and for use throughout pregnancy‚ they are also 100% vegan and not tested on animals. 2) No Patrochemicals‚ No Prabens‚ No glycerin. 3) Recommended by Medical Professionals. 4) Naturally Moist‚ Sensuously Smooth‚ Long Lasting. Organic aloe barbadensis leaf juice*‚ xanthan gum‚ agar‚ potassium sorbate‚ sodium benzoate‚ citric acid‚ natural flavor. *Certified organic by NOP‚ Oregon Tilth. Apply generously to both partners. Repeat application as necessary. If irritation should occur‚ discontinue use immediately. Not for use as a contraceptive. If seal is broken‚ do not use.